Quadratic Equation Quiz. Welcome to Online Quantitative Aptitude Section in letsstudytogether.co .Quadratic Equation is one of the most favourite topics of almost every banking exam. 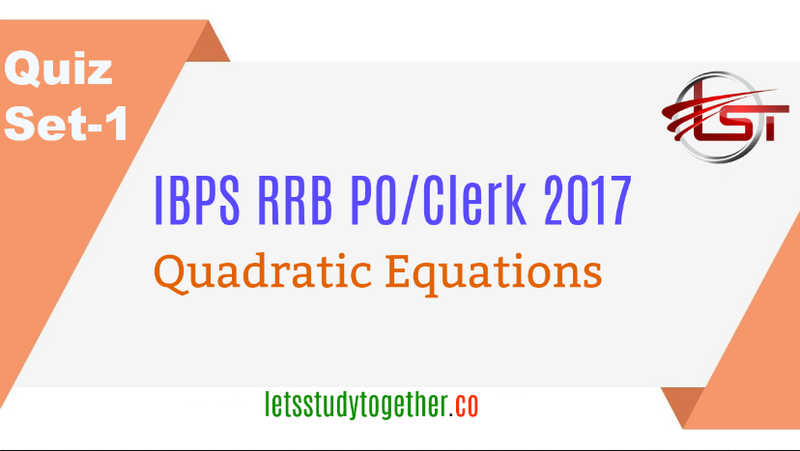 Here we are providing a Quiz Set on Quadratic Equation so that you can practice more and get good marks in the examination. Directions: In each of these questions two equations numbered I and II are given. You have to solve both the equations and give answer. So, relation between x and y is not determined. and y. Hence, option c.
So, y≥x. Hence, option b. So, x > y. Hence, option d.
For Daily Editorial Updates with Vocabulary Click Here.